CAPS CAPS CAPS – Eastern Conference CHAMPIONS! 100 Episodes Later… The Capitals May Do It! Hard to imagine that this little sports experiment is 100 episodes and 52 articles old but here we are. Many have asked “Why didn’t DTC celebrate their 100th episode?” and there are two reasons… the first is embarrassing but true, we lost track of what episode we were on and this isn’t a sitcom, so does it really matter? The second reason is the real reason… we don’t want to jinx (fake jinx) the DC Sports Curse… which may or may not be real… but could be… but we aren’t sure… but we’ll see. The entire city will be watching tonight, we are lead to believe so at least, as the Capitals attempt to win a game seven… on the road… and lead a DC team to the the finals in one of the four major sports for the first time in 20 years. The premise of this entire project, podcast, articles, and all, was to find some mojo to defeat the sports curse which has crushed souls and spirits in the District spanning nearly an the age of an adult of drinking age. 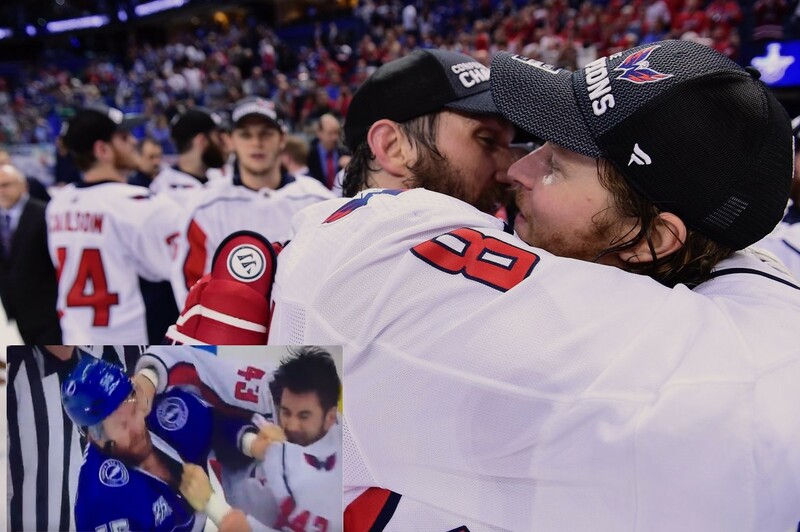 The image above is so perfect and is borrowed with love from RussianNeverBreaks and is so perfect D.C. wouldn’t you agree… the crying Jordan meme is all of us for the past two decades but win or lose tonight, the Capitals are to be received with nothing but praise. If you are anywhere near D.C. tonight, or maybe attending the Nationals game this afternoon, make your way over to the Cap1Vault and watch the Capitals vs. Lightning LIVE with the DTC sports crew and join us for a live show afterwards… win or lose we will broadcast… but we want a win! We want June hockey in DC as bad as we want November baseball and maybe, one day, February football too. If you have no idea what I am talking about or have recently arrived from outer space, get caught up on all things Caps by listening to and subscribing to our podcast. Let’s go Caps! C-A-P-S CAPS CAPS CAPS! #AllCaps this is it! Defeat the Curse!